Our country is currently facing the worst opioid epidemic we’ve ever seen. More than a hundred people die everyday from overdose, and still more are becoming addicted. While rehabilitation is an option, it doesn’t guarantee recovery. Especially when many of the medications involved in the treatment process are also opioids, similar to the ones that many have grown addicted to. 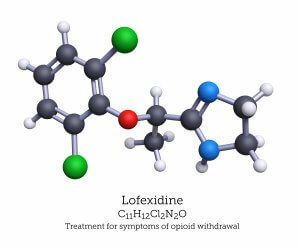 Back in May of 2018, the FDA approved Lucemyra, the brand name for the chemical lofexedine, a new medication to treat the symptoms of opioid withdrawal. As of the following August, it is available for use. It is important to note that Lucemyra is not a medication for opioid use disorder, or opioid addiction, and will not stop someone from craving opioids. It will mitigate the symptoms of opioid withdrawal, helping people who are experiencing physical discomfort. However, it is not a cure and should be used as part of a greater recovery plan. Lucemyra should not be used with alcohol, benzodiazepines, or barbiturates. It is best taken during the time of peak withdrawal, generally the first five to seven days after a person’s last opioid use, and should not be taken for more than two weeks. If traditional treatment medication has not worked for you or a loved one in the past, Lucemyra may help. The important thing to remember is that one medication cannot cure an addiction. Recovery is a long road and requires dedication and perseverance. It won’t be something that can be taken care of overnight, or even a year, but staying on the path can ensure long-term sobriety. Again, remember that Lucemyra is something that only should be taken when prescribed by a doctor as part of a greater treatment plan. If you are looking for help, but don’t know where to start, try reaching out to a dedicated treatment specialist. They are available to speak when ever they are needed, and can point you in the right direction. Epidiolex Becomes First FDA Approved Marijuana-Based Drug Available in the U.S.